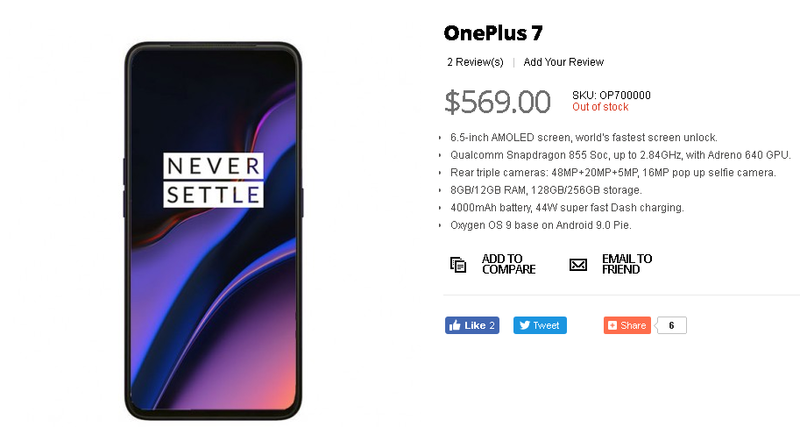 OnePlus seems to have done with the mass production of the upcoming OnePlus 7 as after a series of leaks and renders, now the smartphone was spotted on a retailers website revealing most of the details. The smartphone was spotted on Giztop revealing most of it’s details from specifications to features to its pricing. However, we only get to see the front picture of the smartphone. The picture reveals the bezel-less/no notch design with beautiful OnePlus wallpaper. It also features the volume button on the left and power button on the right side, whereas all the pictures leaked earlier had the power button on the left and instead of it the alert slider on the right side. This image also reveals the volume button separated which wasn’t on the previously leaked images. Therefore, it is pretty different from what we saw in the past and confuses us more. Other than this, the retailer listing also shows us it’s specifications and all of them match the previous leaks. 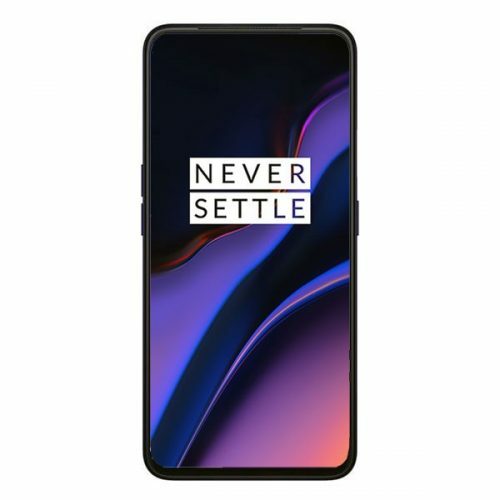 OnePlus 7 will be powered by a Qualcomm Snapdragon 855 SoC with up to 12GB of RAM and max storage up to 256GB. It will run on Android 9 Pie with OxygenOS on top of it and will house a massive 4,000mAh battery with fast charging support. It will have a 6.5-inch AMOLED screen without a notch and instead, it will come with a pop-up camera for selfies. The front pop-up camera will be of 16-megapixels and moving to the back, there will be three cameras. A 48-megapixels+ 20-megapixels + 16-megapixels triple camera setup. The listing also mentions an improved In-display fingerprint scanner and face unlock as security. Now to top it off the listing reveals pricing of $569(roughly Rs. 40,000) for the base variant. All of this excites us more and so we can’t wait for the official unveiling of the smartphone. Stay Tuned for more updates on OnePlus 7 and also Subscribe to Our YouTube Channel Gadget Gig For Latest News, Reviews, Unboxing and Tips/Tricks.